Audiences are truly mesmerized by Aaron’s unique stage presence blended with awe-inspiring virtuosic performances. He immediately engages his fans, displaying an affinity for the violin in a seemingly effortless mastery of the instrument. Aaron’s cutting edge musical style was inspired by his worldwide travels. After performing as an original band member for the world-renowned band Pink Martini, he recorded on the album Sympathique (which sold a million copies worldwide), Aaron then refined his own brand of music. 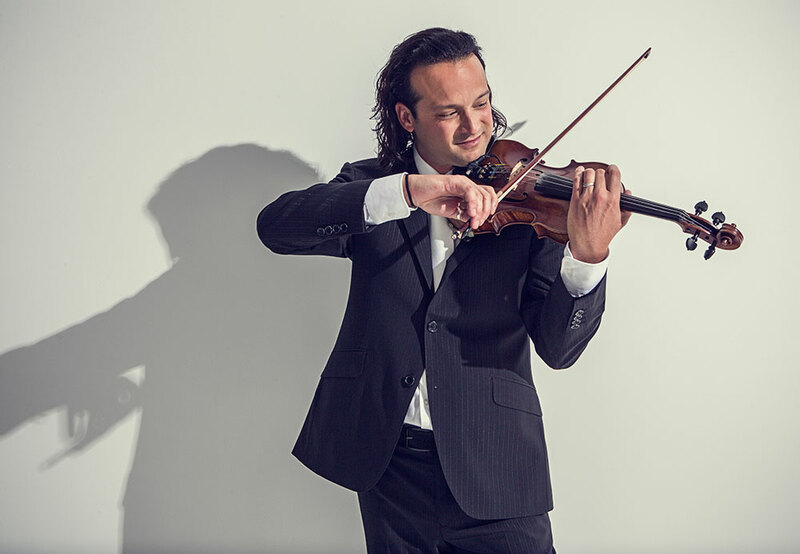 His broad range of music includes everything from a dynamic rendition of Vivaldi’s “The Four Seasons” to his exquisite versions of Pink Floyd’s “Comfortably Numb,” Led Zeppelin’s “Kashmir,” and the Beatles classic “Let it Be.” Whenever he performs, he connects with audiences of all ages, cultures and backgrounds from all around the world.